When is Nothing Actually Something Potentially Quite Extraordinary? 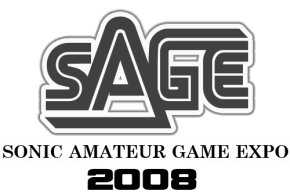 One of the titles that may perhaps be the most underlooked at this year’s SAGE is not a Sonic title. In fact, it’s Nothing. Serious. That’s its name. An original project by Logan Ames, Nothing has an original character that can morph into several forms, some pretty vivid and dark art direction, and thus far has enornous promise. Mr. Ames notes on his SAGE booth that the format is based on Cave Story. A playable version is available at SAGE–our team will be reviewing it in due course–but Ames also provided a beautiful video demo for viewing. We’ve provided it below. The video can’t really do the demo enough justice–head over to SAGE and play it for yourself.